Mohamed Salah's lone goal early in the second-half is the difference as Liverpool return to winning ways. That's all for VAVEL UK's coverage of Brighton v Liverpool. I've been Maxwell Hogg, and thanks for following along today. Be sure to stick around for our post-match coverage, including match analysis and post-match quotes. Amex Stadium is a difficult place to travel to, but Liverpool rise yet again to another challenge in their race to the Premier League title. After two consecutive losses, the Reds are back on track. While it won't grab the headlines, Wijnaldum and Henderson also were dominant in the midfield today. The front three were creating most of the goalscoring chances, but it was the distribution from these two that facilitated all of Liverpool's forward play. They also were a menace when Brighton were on the ball, consistently intercepting the ball and disrupting play. Overall they bossed the midfield in an impressive showing by both of them. 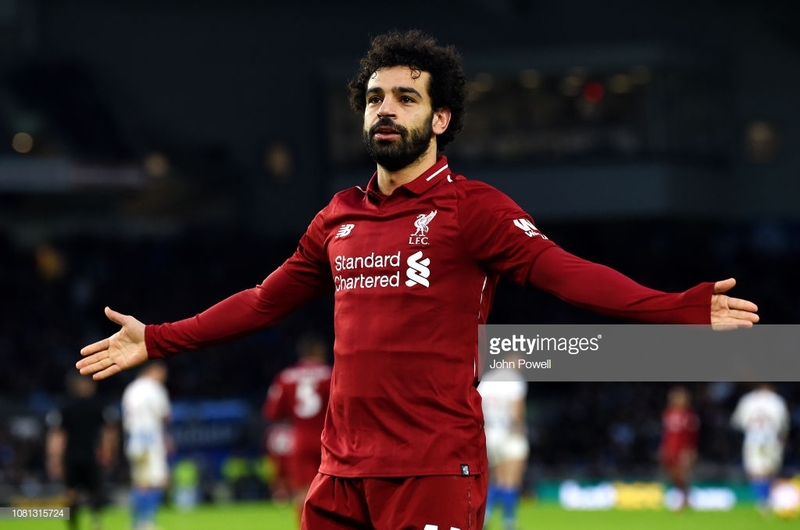 Salah once again won the game for Liverpool, but it was yet another dominant performance from the defense that ensured the victory for the visitors. Fabinho did well to fill the gap in defense and looked comfortable as well. One would think Murray would have had a field day against a midfielder in the defense, but he was completely neutralized instead. The whistle blows, and Liverpool are victorious at the Amex Stadium. It was a tightly contested match, but the Reds were easily the better side on the day. Football is a game of margins, and Liverpool take all three points home by the narrow margin of one to nil. Klopp makes his final change with Divock Origi coming on for goalscorer and potential game winner Mohamed Salah. Keita gives the ball up in the midfield, and Davy Propper is slipped in behind the Liverpool defense. He tries to square the ball to Locadia on the far post, but Alexander-Arnold does just enough to disrupt the pass. Klopp is furious at Keita on the sideline for cheaply gifting possession in a dangerous area. Late change for Liverpool with Naby Keita coming in for Mane. Milner's cross is blocked by Duffy, but he gets to the second-chance ball before it goes over the byline. His second cross in finds Salah completely unmarked from the six yards, but Liverpool's prolific goalscorer inexplicably misses the wide open net. Mane takes Duffy on after Salah released him down field. The Brighton defender does well to stay in front of Mane and block his shot. Friend is showered with boos as another foul goes against the home side. He hasn't been wrong though, as Brighton have simply been committing fouls while Liverpool haven't. Knockaert gets a stern talking to after striking Firmino in the face with his arm in an aerial duel. Still no cards in the match. Another chance for Liverpool. Salah draws the attention of multiple defenders before picking out Geoginio Wijnaldum at the top of the box. He has room for the shot, but his attempt goes just wide. Bong receives the ball on the wing with space and whips the ball towards the near post and Andone. The ball demands the attention of Alisson who does just enough to influence the chance as Andone touches the ball last for a goal kick. Gross then makes way for Beram Kayal. The match is starting open up as Brighton commit more men forward in search of an equalizer. Liverpool is finding more space on the wings and is carving out more chances. Firmino turns past his man in the midfield and runs forward into space at the top of the box. He has Salah as an option on his right, but he opts to take the shot instead. Button does well to repel the shot just beyond the reach of Robertson. Liverpool make their switch. Milner comes on, but it's not Alexander-Arnold to come off. Instead it is Shaqiri's afternoon that comes to an end. A pair of penalty shout for the hosts as a Brighton player hits the turf on a pair of corner kicks. Friend isn't interested in their complaints as play resumes. Milner is being prepared on the sideline, perhaps to replace Alexander-Arnold. The hosts make a double switch midway through the half. Florin Andone comes in for Murray, and Anthony Knockaert replaces March. Murray has to be disappointed that he couldn't influence the game more with Liverpool fielding a midfield in their back four. March races down the wing with two in support down the middle. Murray makes a good run to the back post, but Stephens pass is just barely picked out by Fabinho to deny the chance. Dale Stephens runs onto the clearance to have a go from long, but that sails wide. Brighton work the ball into the Liverpool box to the feet of Gross. He one timed the chance in the center of the box, but Fabinho was there to block the shot. That's been the best chance of the match for the host by far. The Reds are firmly in control after the goal. Brighton are struggling to get their offense running in response to the opener. Their passes forward are too heavy, and the fullbacks are doing better than they did in the first half to close down the space that Gross and Locadia were consistently finding the ball in. Salah steps up to penalty and fires it into the side netting. Button guessed the correct direction and even got a finger to the ball, but Salah struck the ball too hard for him to push wide. Ideal start to the second half for Liverpool. Another penalty earned by Salah for Liverpool. He slipped past Gross inside the box, turning past him well. After Salah beat him, the Brighton man accidentally kicked him in the back of the leg to bring him down. Salah gets the ball in the box and is able to create some space between him and Duffy to get a shot off. It's low and driven hard towards the far post, but Button does well to get down and make the save. The second half is underway here at the Amex Stadium. Can Liverpool find a breakthrough here, or will Brighton snag yet another positive result at home. Locadia has been a menace on the wing, challenging the injured ankle of Alexander-Arnold with his pace. It was worrying at first, but Alexander-Arnold seems to have shrugged off his pre-match injury. The battle between Locadia and Alexander-Arnold has been exciting, but the latter may not last the entire 90 minutes if there an issue with his ankle arises. Mane was nonexistent for the early minutes, but started to come into the match as the half went on. Himself and Salah linked up well, and the breakthrough looks most likely to come from one of the two. No stoppage time to be played as Kevin Friend blows the whistle. Liverpool are very much in control this afternoon, but the hosts have looked dangerous at times. The Brighton defense has been superb, handling everything Liverpool has thrown at them. While there has been a couple chances for the Reds, they have yet to carve out a clear-cut chance at goal. Liverpool looking suspect in the back as they struggle to clear the ball from their box. A soft pass back to Alisson is nearly picked off by Montoya, but the keeper gets there first to play the ball wide to Robertson. The left-back does well to clear the ball and earns a free kick after Montoya came crashing into him late. Robertson is incensed as Montoya takes him down after flicking the ball past him. No whistle as Gross takes the ball down the other way. He plays the ball to March who plays a quick pass to Locadia. It was a smart pass just beyond the reach of Fabinho, but the flag goes up as Locadia barely mistimed his run. A smart one-two between Salah and Mane creates space for the latter on the wing. Mane sends a dangerous cross into the area, and Henderson dives to head the ball towards goal. He made good contact with his head, but Lewis Dunk was on hand to clear the ball. Brighton play a long ball over the top to Locadia on the wing, but Alexander-Arnold does well to get back and clear the danger. There was some worry over his ankle early on, but that sprint has silenced the concern. Firmino nearly causes a turnover in the Brighton box as Shane Duffy takes too long to clear the ball. His clearance was blocked, but Firmino couldn't get to the ball before it rolled out for a goal kick. Brighton create a turnover in the midfield and immediately look to play the ball wide to Pascal Gross. There is plenty of space for him to work with, but the pass is too heavy as the ball goes over the touchline for a throw in. Sadio Mane, who has been quiet for most of the match, plays a great ball to Alexander-Arnold out wide. He does well to lose Bong to create space for the cross and finds Shaqiri. He flicks the ball goanward, but it goes just wide. David Button was left planted in his goal and will be relieved that didn't find the net. Salah nearly gets in on goal after Firmino flicked the ball over his head into the area. Bong does well to get in front of Salah and sends the ball behind for a corner kick. Liverpool are enjoying nearly all the possession, but the Brighton defensive shape has been strong, soaking pressure well. Robertson is fouled by Solomon March after sending a cross into the box. Xherdan Shaqiri takes the free kick on the side of the area, and his whipped cross is just over the head of Van Dijk. The league leaders are inching closer with each attack, but Brighton have looked dangerous on the counter-attack so far. With more clinical passing, the hosts could cause some trouble for Liverpool on the break. Good build up play by Liverpool is spoiled as Firmino sends an errant pass cross field. Brighton try to send Locadia on the break with plenty of space on the wing, but the pass is poor and easy for Fabinho to handle. Brighton burst forward, and find plenty of space on the left wing. Locadia is slipped through behind the defense, but the flag goes up as he is offside. The kick is taken quick to send Liverpool's front three racing down the pitch, but the Brighton defense stands strong, repelling the counter-attack. Good team buildup from Liverpool nearly leads to a Shaqiri goal. Sadio Mane and Salah linkup well before Salah tries to slip Shaqiri into the area. It's a good idea, but the pass is a bit too heavy, forcing Shaqiri wide and spoiling the chance. Fabinho plays a long ball cross field just over the head of Martin Montoya to Robertson on the wing. The left-back played a brilliant sweeping cross across the face of goal, but Firmino couldn't get the contact to tap it home. That's a missed opportunity there as Robertson served that ball on a platter for the Brazilian. The hosts play a long ball over the top, and Fabinho is knocked to the ground while dealing with it. The whistle blows for a free kick, relieving Liverpool of some pressure as Brighton are closing them down rapidly early in the match. Liverpool are passing around the back as they feel out the Brighton defense. A poor pass in the midfield is picked off as Locadia goes racing down the left wing. He has space to send in the cross, but van Dijk clears it easily. Alexander-Arnold struggled to sprint back with Locadia, and Milner is on the sideline warming up. There may be an issue with Alexander-Arnold after all. The whistle blows as the action is underway here at the Amex Stadium. A bit of an injury scare before the match as Alexander-Arnold went down during the warmup, but he is out there on the pitch, raring to go. With Shaqiri in the lineup, Liverpool are probably deploying the 4-2-3-1 system that has brought them success this season. Roberto Firmino will drop farther back on the pitch while Mohamed Salah will play more centrally. Salah had a slow start to the season, but the 4-2-3-1 has been able to bring the best out of Liverpool's Egyptian king and help him return to his last-season form. No surprises in the Brighton lineup. The reliable Gaetan Bong comes into the starting XI with Bernardo ruled out due to a hamstring injury. Izquierdo is still not healthy, but Jurgen Locadia has been finding his form and will be an adequate replacement on the wing. Rafael Camacho made his debut for Liverpool's first team against Wolves in the FA Cup, and finds a spot on the bench today. While Trent Alexander-Arnold typically doesn't leave matches early, the youngster may get some minutes in today if Liverpool can build a sizable lead. So Klopp has decided to go with Fabinho in the back over Hoever, and with Matip healthy enough to make the bench, the youngster's service will not be called upon today as he is left out of the squad. We are just under a half hour until kick-off, and the team sheet is in. The team sheets are released an hour prior to the match, but here is our predictions on how both sides will lineup in the meantime. The Amex Stadium has been difficult for many teams this season, but both Chelsea and Spurs have been able to make it out with a win this season. Liverpool is a class above both of those sides and should have little trouble coming away with all three points, despite issues in the back. Hughton is without defender Bernardo and pacy winger Jose Izquierdo for today's matchup. However, Glenn Murray is fully fit and is probably savoring the idea of a weakened Liverpool defense. Van Dijk will be tough to beat, but Murray could cause plenty of problems with either a 16-year-old or a midfielder lining up beside the Dutchman. In midfield, Adam Lallana will most likely miss out once more while Jordan Henderson will be fully fit and available. With Henderson available, it makes the decision to sacrifice a midfielder in Fabinho to the defense a bit easier. Klopp has a bit of a crisis in the back after Dejan Lovren went down with injury against Wolves on Monday. If Joel Matip is not able to return to action, Liverpool will have only one healthy senior centre-back. Youngster Ki-Jana Hoever impressed when he came in for Lovren against Wolves and could possibly see more first-team action. If not, look for Fabinho to drop back into the defense to pair with Virgil van Dijk. While Liverpool has struggled on the road in Europe, the Reds have only lost once on the road in the Premier League. 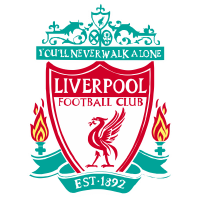 Liverpool is definitely known more for their fortress of Anfield, but the team still travels well and is more than up to the challenge of taking home three points from the daunting Amex Stadium. The league-leading Liverpool come into this match on a two match losing skid. The gap at the top was closed to just four points when title rivals Manchester City beat Liverpool at the Etihad. The Reds then suffered defeat again at the hands of Wolverhampton Wanderers in the third round of the FA Cup. Jurgen Klopp's men will look to get back to winning ways against Brighton this afternoon. The story of the season for the hosts so far has been their home form. Brighton has the best home record of any team outside of the top six. The Seagulls put the league on notice when they beat Manchester United at home early in the season. Since then they have denied all but Tottenham Hotspur and Chelsea a victory at the Amex Stadium. However, can Brighton stop one of the most explosive offenses in the league, let alone score on the strongest defense in the league? Chris Hughton and Brighton have had a decent season so far. Two games past the halfway point, and they find themselves in 13th place and ten points clear of the relegation zone. 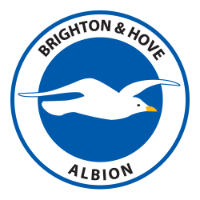 With there being little to no danger of relegation, the Seagulls will be looking to improve their position as much as possible to achieve their best Premier League finish in club history. Good afternoon and welcome to VAVEL UK's live minute-by-minute commentary for today's matchup between Brighton and Liverpool. Kick-off is set for 3 p.m, but until then we will have plenty of pre-match analysis and team news updates provided by myself, Maxwell Hogg. So make sure you follow along with VAVEL UK.